Is it a coincidence that the new movie about P.T. Barnum, inventor of the three-ring circus, has opened at a time when the trading public is crazy for Bitcoin and other crypto-curiosities? Barnum was famous for his hoaxes and for stretching the truth. His aim was to draw attention to his exhibits and extravaganzas. People loved his shows. They paid to be entertained, and they were. • A company called Core, Inc., which had been developing sports bras, changed its name to The Crypto Company last August. The quoted value of its shares jumped to $14 billion, despite the fact that the company had less than half a million dollars in sales. • Another company named itself UBI Blockchain Internet and saw its stock price jump 1,000% in early December. No one seemed to care that the company had zero revenue and a phone number that had been disconnected. Bitcoin promoters tout its limited supply and the fact that it enables transactions to be made anonymously anywhere in the world, without government interference. There does seem to be something to this. There was also something intriguing about a Barnum hoax called “The Feejee Mermaid.” The “Mermaid” looked half-woman and half-fish. In reality, “she” had been created in about 1822 when some Japanese sailors sewed the top half of a monkey onto the bottom of a fish. In reality, there are hundreds of Bitcoin look-alikes. As I write, the website CoinMarketCap.com shows that there are 1,386 crypto-currencies. Each of these may have some limit on how much can be produced, but there is no end to the variety of them that can be created. As to being free of government control, does anyone really think that governments will ignore the threat to their ability to tax and conduct monetary policy? 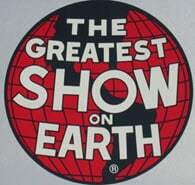 Barnum’s “The Greatest Show on Earth” was fun. When the Bitcoin circus is over, there will be a lot of people who want their money back.